Get the most value for your money with this Top-Rated Professional Grade Cooking Equipment! 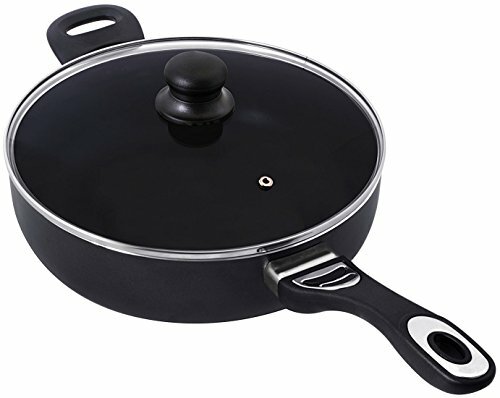 Our Professional Nonstick Jumbo Cooker Frying Pan is made of professional-grade 3003 aluminum alloy. Its 2-layer nonstick interior is exceptionally durable, double quoted and scratch resistant. This luxury cookware pan is safe for use with all types of cooking surfaces except for an induction cooker. Its luxurious Bakelite handle, ear, and knob create a comfortable grip that resists heat and scratching.